The scientific name for a White Rhino is Ceratotherium simum, which is derived from the Greek terms keras (κερας) “horn” and therion (θηριον) “beast”and simus (σιμος), meaning “flat nosed”. 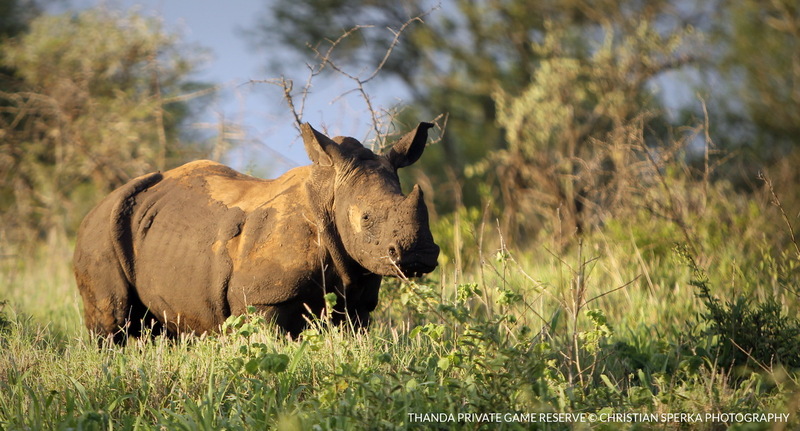 A very fitting name for this huge herbivore, one of the Thanda guests’ favorite. The picture of young calf was taken at perfect light conditions during an evening game drives.